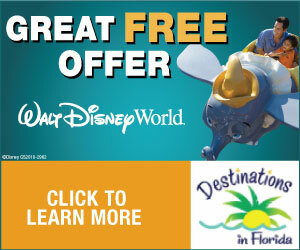 Sesame Street Live: Make A New Friend Coming to Germain Arena – Win a 4-pack of Tickets! 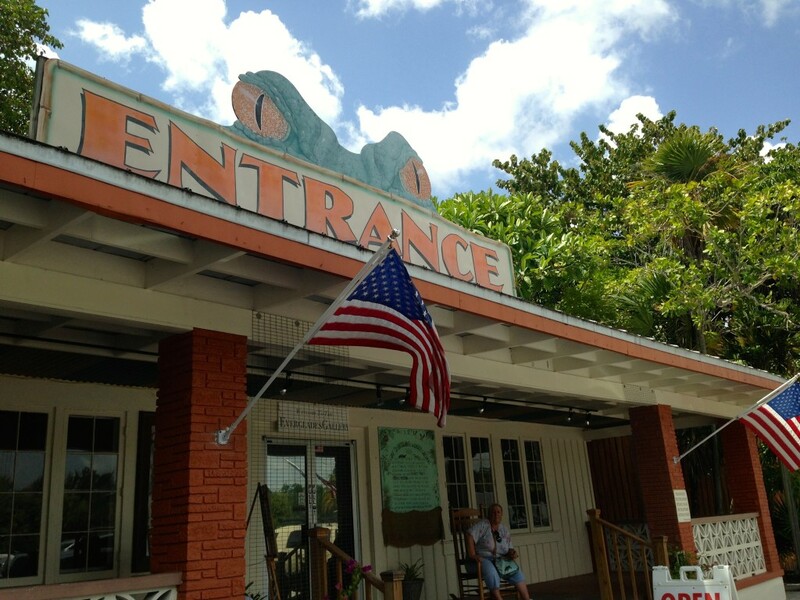 Entrance to the historic Everglades Wonder Gardens in Bonita Springs . One of the last surviving roadside attractions in Southwest Florida. Photo: Paula Bendfeldt, all rights reserved. Everglades Wonder Gardens is one of the few survivors of Florida’s Golden Age of roadside attractions, these tourist stops where part of the folk character of Tamiami Trail and an important part of Southwest Florida History. Now tucked away on the historic part of Bonita Springs on Old US 41, the Everglades Wonder Gardens was created by Bill and Lester Piper as a place to rehabilitate injured animals. Pink flamingoes at the Everglades Wonder Gardens. Photo: Paula Bendfeldt-Diaz, all rights reserved. After closing it’s doors in 2013 the Everglades Wonder Gardens where taken over by award-winning local photographer John Brady who was determined not to let it become another extinct attraction. The 3.5 acre lush botanical gardens have been reborn and a beautiful gallery filled with awe-inspiring photographs has been added. From the moment we parked in from to of the huge painted billboard and walked through the doors we where transported back into time to when Florida’s Rout 41 was busy with tourists and lined with roadside attractions. 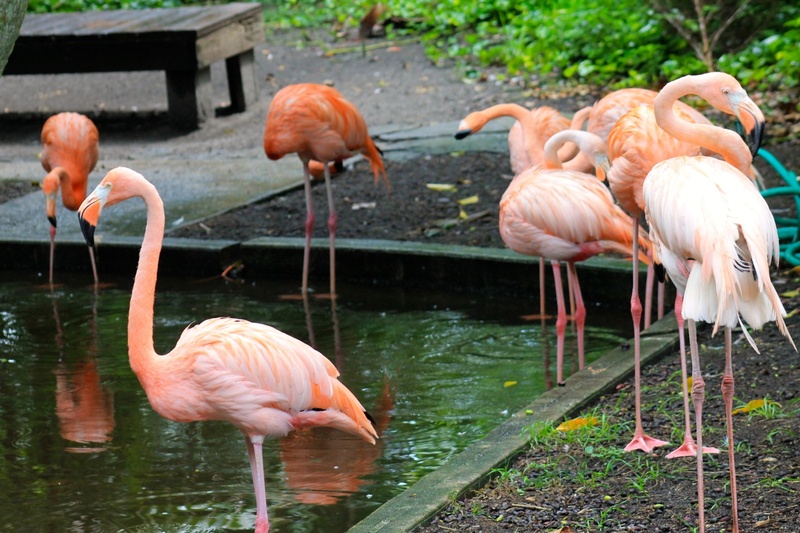 Nestled among all of the greenery and flowers are new and updated animal exhibits such as a flamingo pond, alligator pool with 40 gators, duck ponds, and turtle and tortoise exhibits. 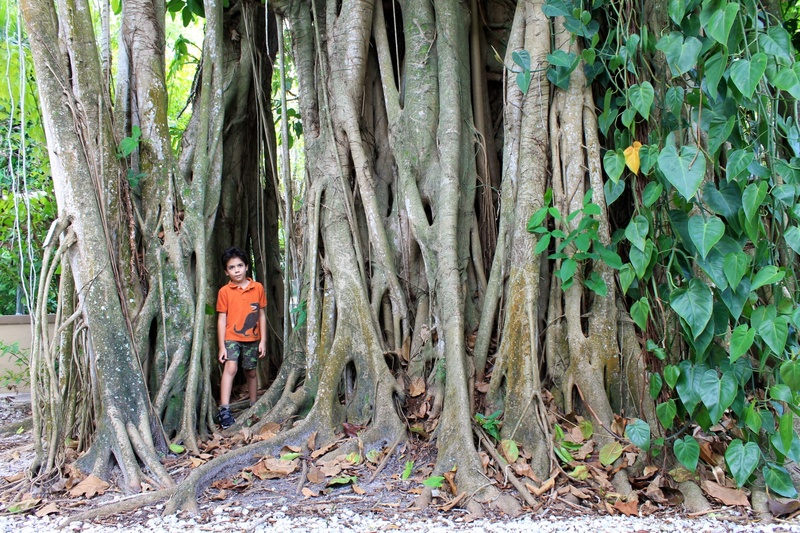 Discovering the real natural Florida at the Everglades Wonder Gardens. Photos: Paula Bendfeldt, all rights reserved. This historic attraction was more of a neighborhood zoo but due to Brady’s new vision, they no longer feature mammals but instead focus on a diverse and interesting collection of birds and reptiles, many of which are rescues from the Florida Fish and Wildlife Commission. 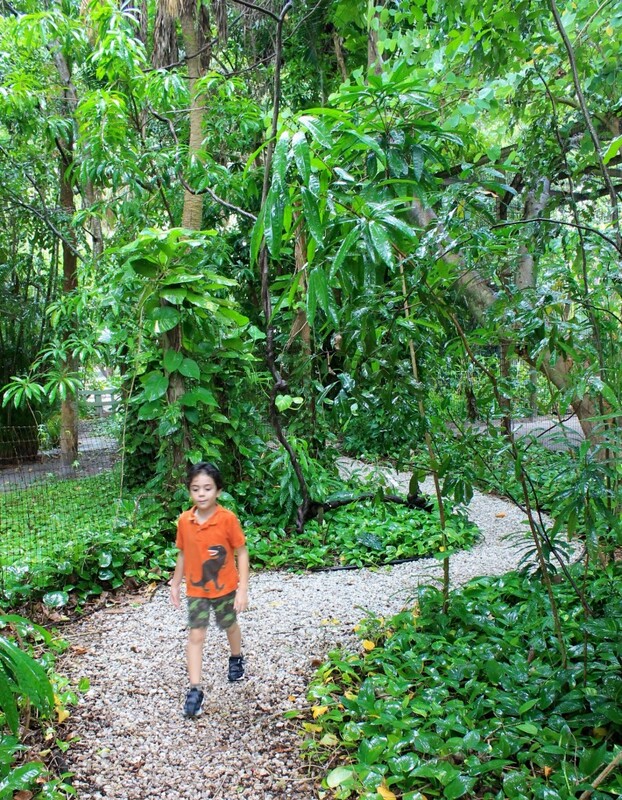 Walking throughout the lush gardens. Photo: Paula Bendfeldt-Diaz, all rights reserved. 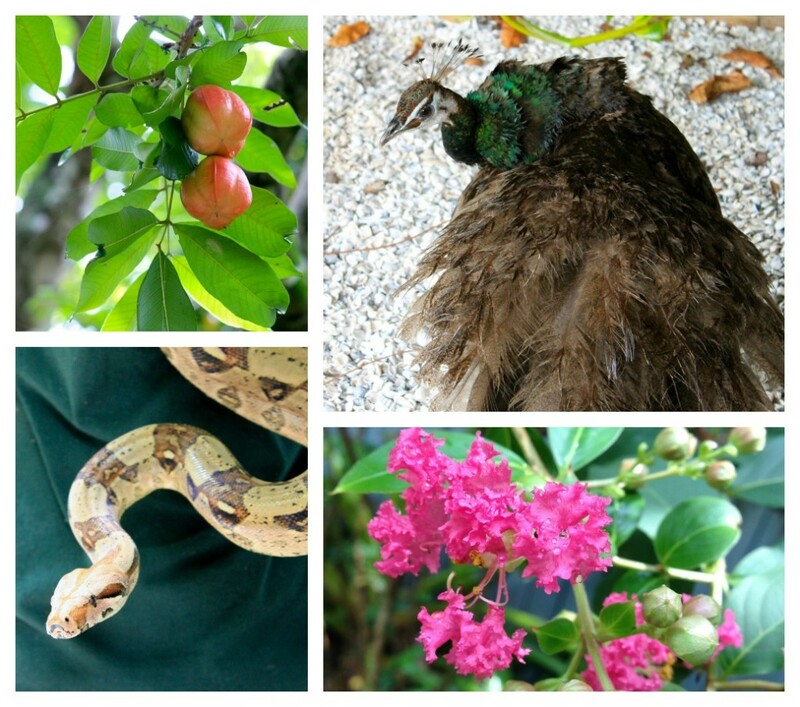 We visited with my children who are 9 and 6 and they loved exploring the beautiful gardens filled with native plants and butterflies and seeing the many reptile and bird exhibits. Even though we had to endure some Florida showers we all had a wonderful time and the rain just added to the excitement. . My kids where thrilled to cross a hanging bridge over the alligator pond, where surprised to find peacocks roaming among the paths and loved touching one of the resident snakes. Alligator pond and hanging bridge. Photos: Paula Bendfeldt-Diaz, all rights reserved. The history and heritage of the Gardens remains of great importance, and the legacy is upheld through museum exhibits in the entry building where we spent some time learning about the Everglades Wonder Gardens and about the local history and wildlife as well. What made our visit truly memorable was getting to experience a piece of real Florida in such an intimate way and having the opportunity to learn and live some of the areas history as well. 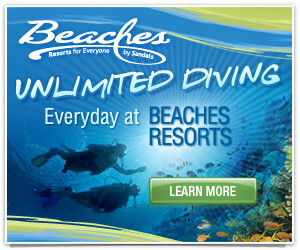 Everglades Wonder Gardens. Photo: Paula Bendfeldt, all rights reserved. 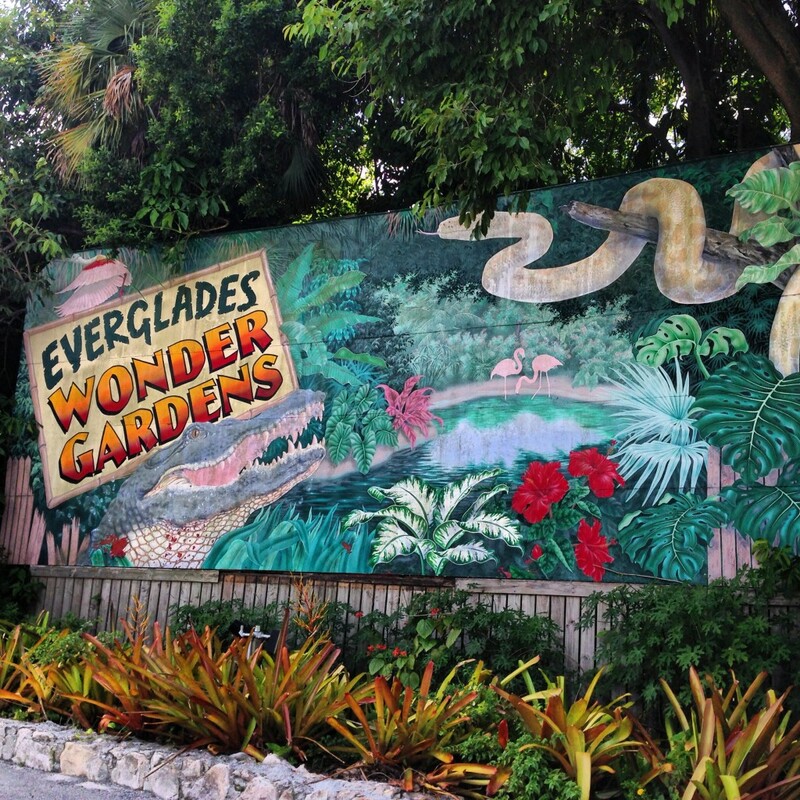 To learn more about the Everglades Wonder Gardens, ticket prices and hours of operation you can visit the Everglades Wonder Gardens website and like them on Facebook to stay up to date on the new exhibits. Follow 365 Things to Do In Southwest Florida on Facebook for the best events, attractions and Florida getaway ideas for the whole family. the boys went with grandma and I on Grandparent’s Day. 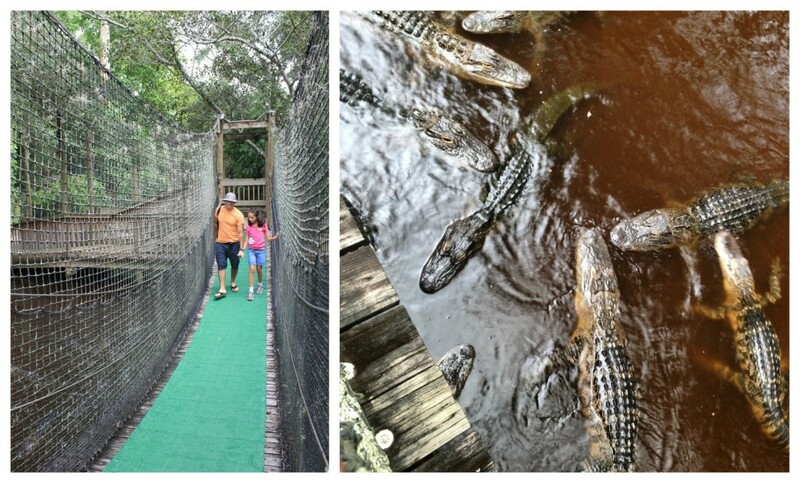 They really liked seeing the birds and the alligators. The only thing is that it’s not very stroller friendly and when I let them walk around instead they ended up picking up animal poop. opps.